Comedian Sunil Grover was a birthday on 3 August. 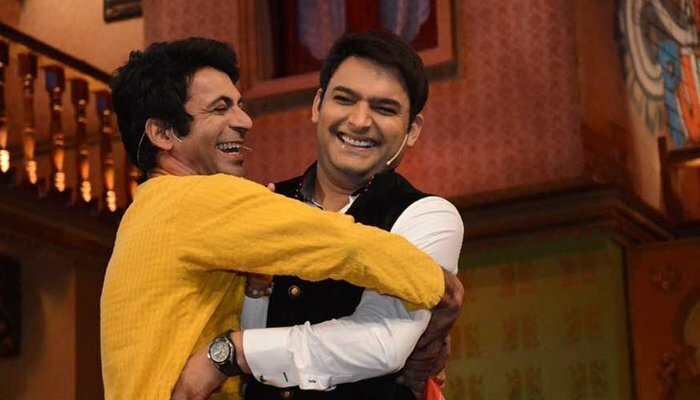 On the same day Kapil Sharma tweeted Sunil Grover He wrote, Congratulations to my friend, brother and a great artist. Always shine with your talent. 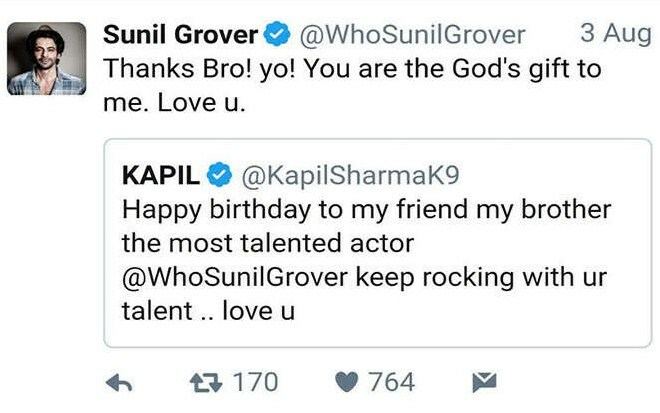 On Kapil's tweet, Sunil also responded with great affection. He wrote, thank you brother, you are a gift of God to me. lots of love. And by looking at these recent tweets, it can be estimated that the distance between the two is gradually being done. Which can both look together again. And the fan of that day is very much waiting for us. By the way, Fan is trying very hard to unite both of them. Because the kapil sharma show is not good for all the spectators without Sunil Grover. And continuously the TRP of the kapil sharma show is going down gradually. And it is very sad Kapil Sharma too. He is constantly trying to persuade Sunil Grover.